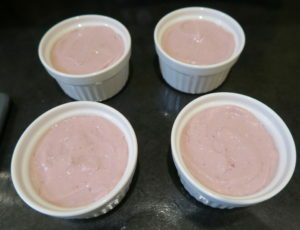 I’m still not having much luck with baking vegan cakes, however I’m finding making vegan desserts like this Vegan Strawberry Mousse very successful! 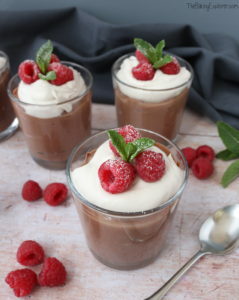 I made a similar dessert last year using chocolate (Vegan Chocolate Mousse Pots), and seen as Valentine’s Day is coming up I thought a strawberry version would be a perfect treat to share with your loved one! It’s so easy to make by blending silken tofu and freeze dried strawberries together, and I’ve topped it with indulgent coconut cream and some cute heart shaped strawberries! 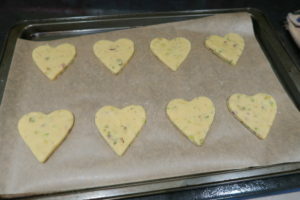 I also made some Vegan Pistachio Shortbread to go with them, and they are so moreish!! 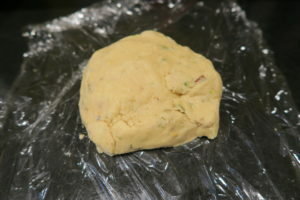 To make the shortbread I started by mixing the dairy free butter and sugar together until creamy. 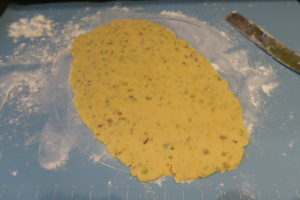 Then I added the vanilla extract, chopped pistachios, plain flour and salt. 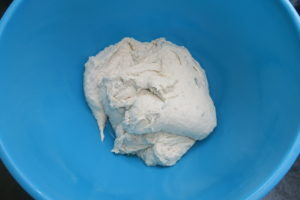 I brought the mixture together into a dough and chilled it in the fridge for 30 minutes. 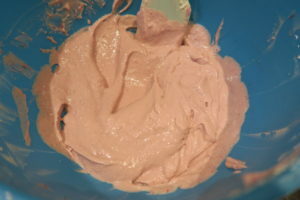 Meanwhile, I made the mousse by blending the silken tofu and freeze dried strawberry powder together. I also added maple syrup, icing sugar and vanilla extract. 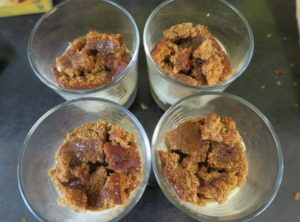 Then I divided the mixture between four ramekins and put them in the fridge to set. 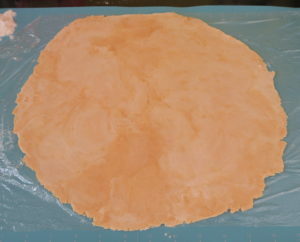 To finish the shortbread I rolled out the dough on a floured surface. Seen as this is a Valentine’s Day themed recipe I cut out heart shapes, sprinkled them with sugar and baked them for 12 minutes. 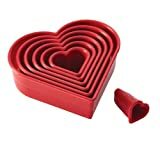 I topped the Vegan Strawberry Mousse with whipped coconut cream, and strawberries that I cut into hearts using a small cookie cutter. The Vegan Strawberry Mousse was so creamy and fruity! 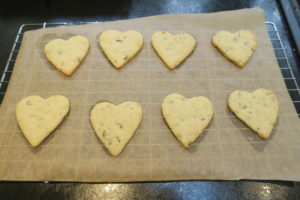 And I have to say I ate more than my fair share of the Vegan Pistachio Shortbread as they were so moreish! 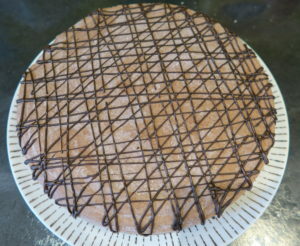 This would make a great Valentine’s or dinner party dessert. I’m linking this recipe up with Cook Blog Share hosted by Easy Peasy Foodie, and Fiesta Fridays hosted by Zoale and Foodie On Board. Slice up some fresh strawberries and place on top, or cut into hearts like I did for a cute effect! 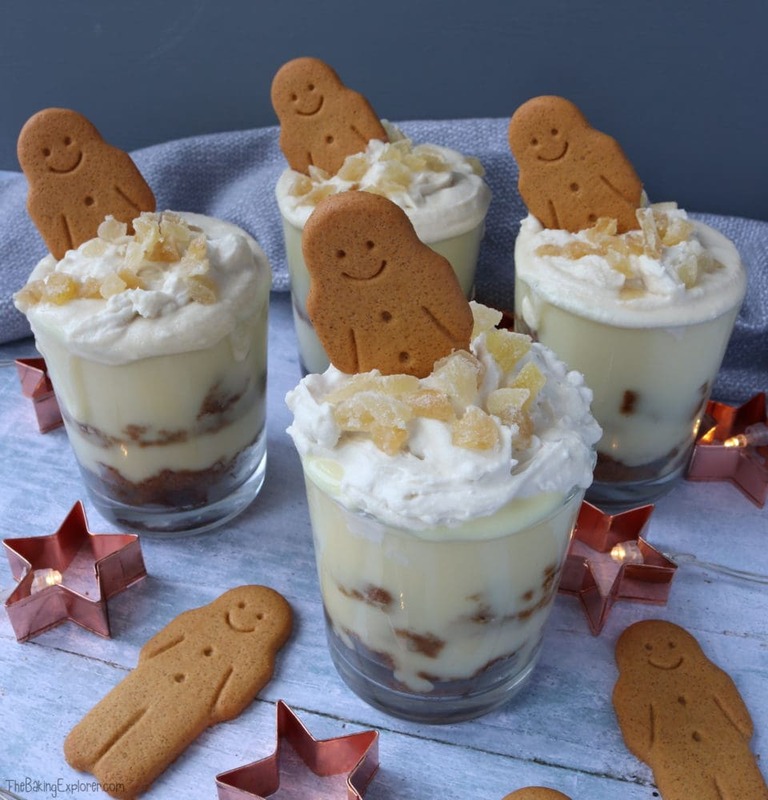 These individual Vegan Gingerbread Trifles are so easy to make and I can guarantee they’ll be enjoyed by both vegan and non-vegan guests! A lot of the ingredients are shop bought, so they are minimal effort to put together. 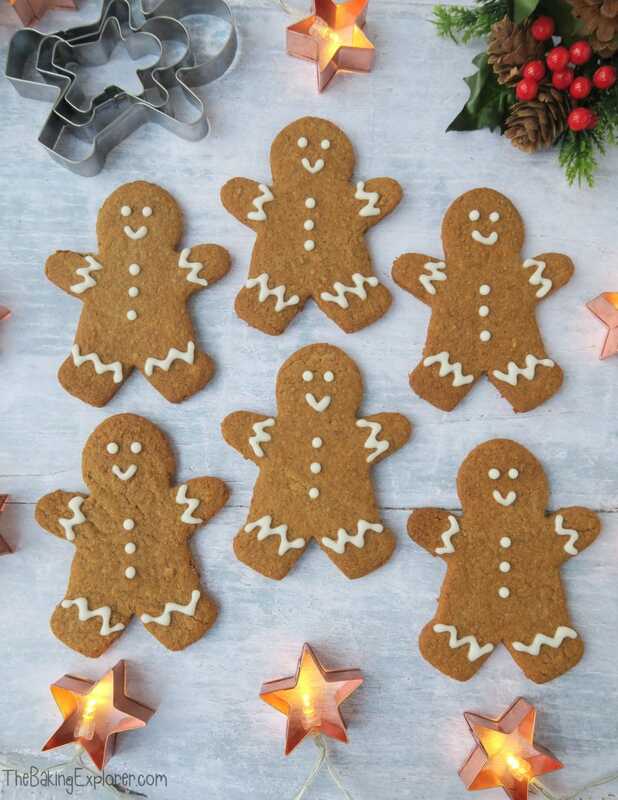 I was easily able to find vegan suitable gingerbread men in Tesco – although if you can’t find any I have a recipe for Vegan Gingerbread Men. 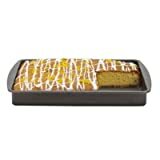 I couldn’t find any suitable shop bought ginger cake, but I know you can get hold of it from Sainsburys and Ocado (and via the Amazon link at the end of this post). So I made one instead and it was absolutely delicious, my colleagues gladly scoffed up the leftovers! 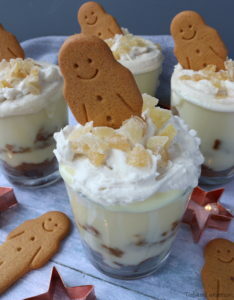 When I served the Vegan Gingerbread Trifles to my friends I didn’t mention they were vegan, and no one had a clue, which just shows how yummy and indulgent they are! 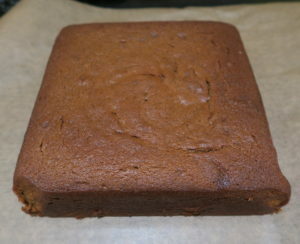 You can make or buy the ginger cake for the cake layer, just check the ingredients to make sure any shop bought is vegan friendly. 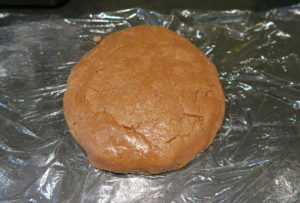 I decided to make a ginger cake and I used a recipe from Domestic Gothess. I broke up the ginger cake and layered it into my serving glasses. 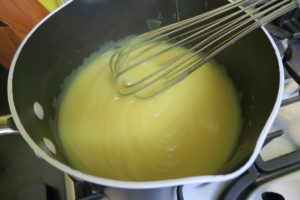 Then I drizzled some ginger syrup over it and added a layer of the dairy free custard. Next was more cake, more syrup and more custard! 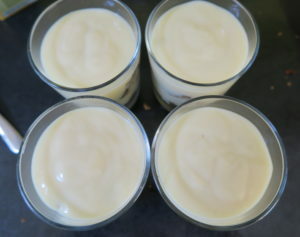 Finally I whipped up the coconut cream with the maple syrup and vanilla and topped the trifle with a good pile of it. 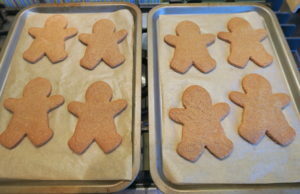 Then in went the little gingerbread men and a sprinkle of chopped crystallised ginger. The flavour of the Vegan Gingerbread Trifles really is made by the cake, so I do recommend making the cake, or buying a good quality one. The ginger syrup is optional, but does add that extra ginger punch! 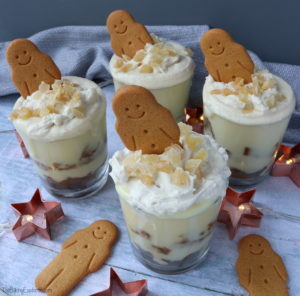 It’s really handy having the Vegan Gingerbread Trifles individually sized too as you can just made as many as you need and you don’t have to worry about leftovers. (Although if you want, you could make it in a big dish too!) 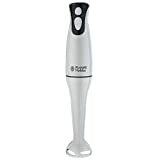 They’d be great at a Christmas dinner party or for dessert on Christmas day! I’m linking this recipe up with Cook Blog Share hosted by Easy Peasy Foodie and Bake of the Week hosted by Casa Costello and Mummy Mishaps. 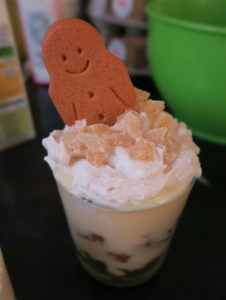 Add it on top of the custard, then sprinkle over some of the crystallised ginger and stick a gingerbread man in the top! You could use vegan friendly ginger nut biscuits if you can't find cake or don't want to make one. 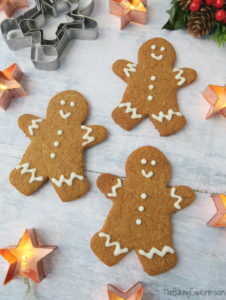 There is a very easy recipe on my blog for Vegan Gingerbread Men so you can make your own if you can't find shop bought ones. 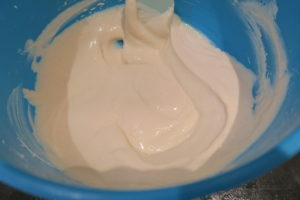 You could also use whipped soya cream for the topping if you prefer. 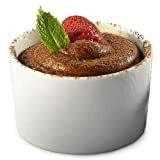 Vegan friendly food continues to impress me and these gorgeously creamy Vegan Chocolate Mousse Pots are no different. 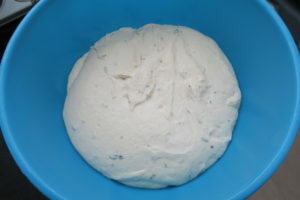 They are made using silken tofu, which is a much softer version of tofu that easily blends up into a smooth consistency. Then you add melted chocolate plus a couple of other ingredients and you’re left with a luscious chocolate mousse that’s so yummy! 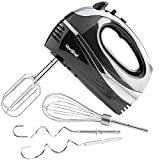 It’s so easy to make, there’s no baking involved and all you need is a blender or an electric whisk. They need minimum chilling, 30 minutes is enough, and they’re ready to eat! 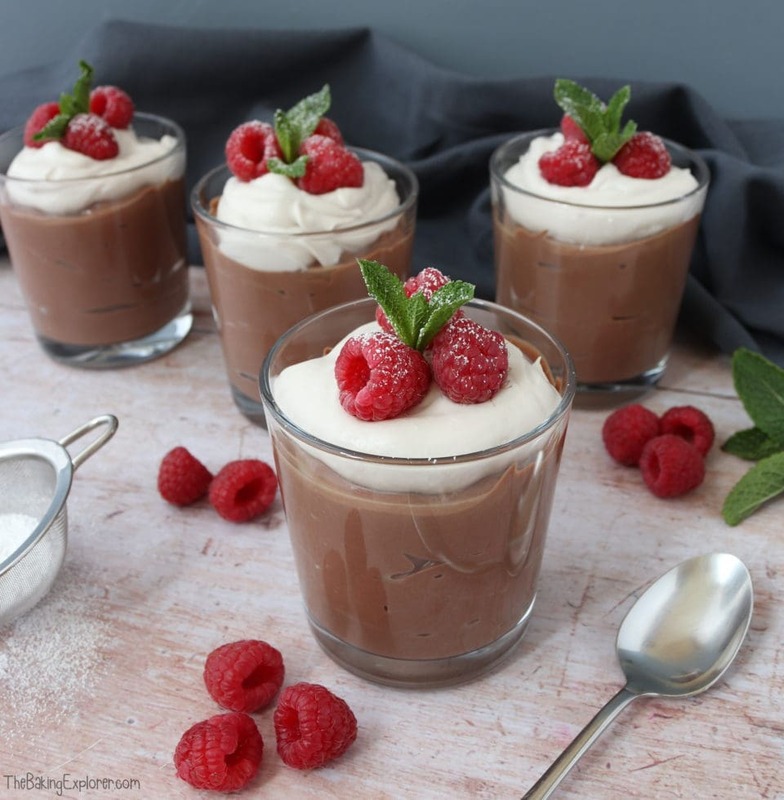 If you’re having a dinner party or having friends over then these Vegan Chocolate Mousse Pots are an easy and impressive dessert that everyone will love. Plus they’re suitable for practically any dietary need as they’re dairy free, soy free and gluten free. 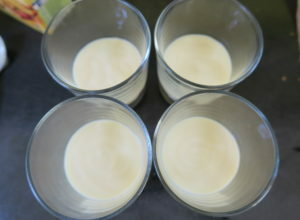 I started by whisking up the silken tofu, I used a blender to make sure it stayed smooth without any lumps. Then I added the cocoa powder, vanilla, maple syrup and icing sugar. 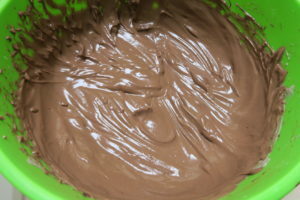 Finally I stirred in the melted dark chocolate which I added it bit by bit, and mixed it in well each time. I divided the mixture between four little glasses and popped them in the fridge to set. I made the coconut cream by whisking the ingredients together with an electric hand whisk, then dolloped it on top of the chocolate mousse. Then I added some raspberries and mint leaves, and sprinkled icing sugar over the top for an elegant finish. 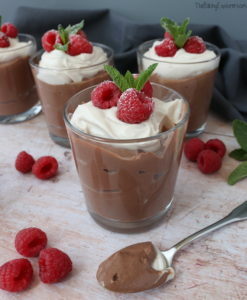 You can serve them with extra raspberries too as the mousse and fruit taste really delicious together. 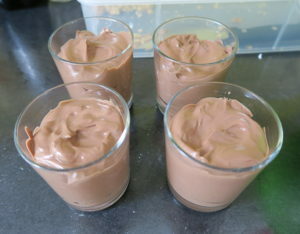 I tested out the Vegan Chocolate Mousse Pots on my friends without telling them what it was made of and they had no idea it was a vegan recipe, let alone that it was tofu! My boyfriend loved the chocolate mousse too and I have to confess that I scraped the bowl clean! 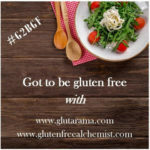 I’m linking this recipe up with Recipe of the Week hosted by A Mummy Too, Cook Blog Share hosted by Recipes Made Easy, Free From Fridays hosted by Free From Farmhouse, Got to be Gluten Free hosted by The Gluten Free Alchemist and Fiesta Fridays hosted by Of Goats and Greens. 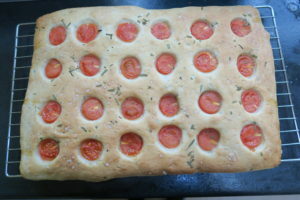 Focaccia is one of my favourite breads. 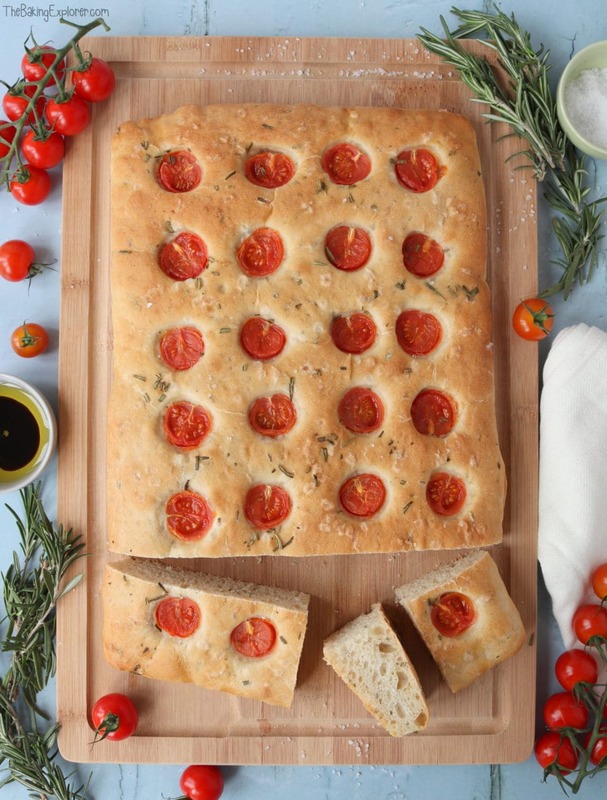 It’s so versatile, you can top it with a variety of flavours, and best of all it’s the perfect bread to dip in olive oil and balsamic vinegar. It is one of those breads that you can just sit and work your way through the whole loaf with a group of friends, chatting, dipping and enjoying every bite. Add some olives and a few glasses of wine and it’s a perfect night! 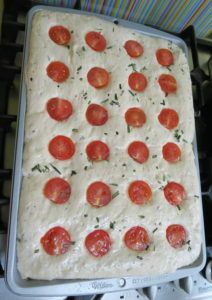 This Tomato & Rosemary Focaccia is inspired by my love of fresh aromatic rosemary and juicy sweet cherry tomatoes. I go through two punnets of little tomatoes every week – I eat them with everything! 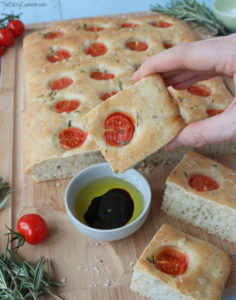 Focaccia bread is also vegan friendly as it’s not made with any animal products, so everyone can enjoy this delicious bread! 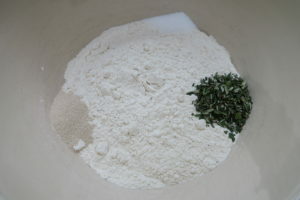 I put the strong white bread flour, yeast, salt and fresh rosemary into a bowl. 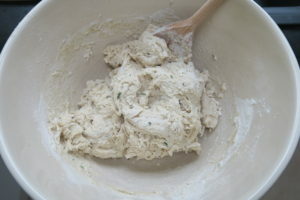 After stirring it together, I added the water and olive oil to bring the mixture together into a dough. Using my food mixer with the dough hook attachment, I left it to knead for 10 minutes. You can also do this by hand if you prefer. 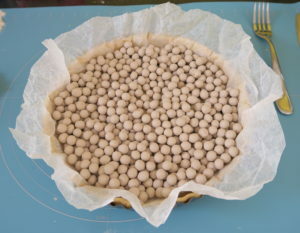 I placed the kneaded dough into an oiled bowl covered with cling film and put it in a warm place to prove for 1 hour. 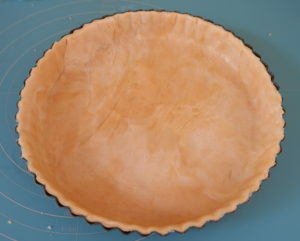 After the hour was up, I knocked the dough back and pressed it out onto a baking tray with a lip. 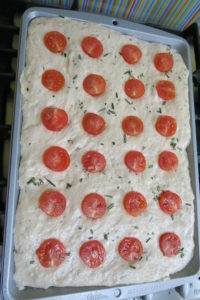 I pressed the cherry tomatoes into the dough. I covered it loosely with cling film and a tea towel and left it to prove for 1 hour. Once the hour was up I sprinkled more fresh rosemary, and some coarse sea salt over it before putting it in the oven to bake until golden. 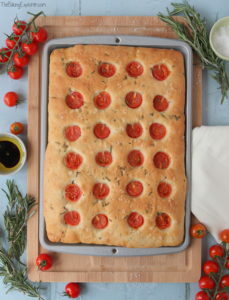 This Tomato & Rosemary Focaccia is salty, soft and full of fresh tomato and rosemary flavour. It’s perfect for dipping in olive oil and balsamic vinegar! 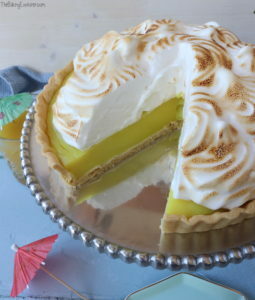 I’m linking this recipe up with Recipe of the Week hosted by A Mummy Too, Cook Blog Share hosted by Recipes Made Easy, Free From Fridays hosted by Free From Farm House, and Fiesta Fridays hosted by The Not So Creative Cook and The Frugal Hausfrau. 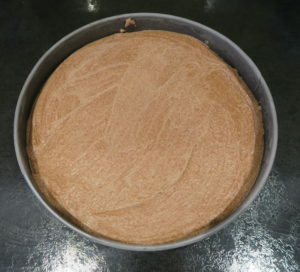 I’ve wanted to make a vegan cheesecake for a while now. 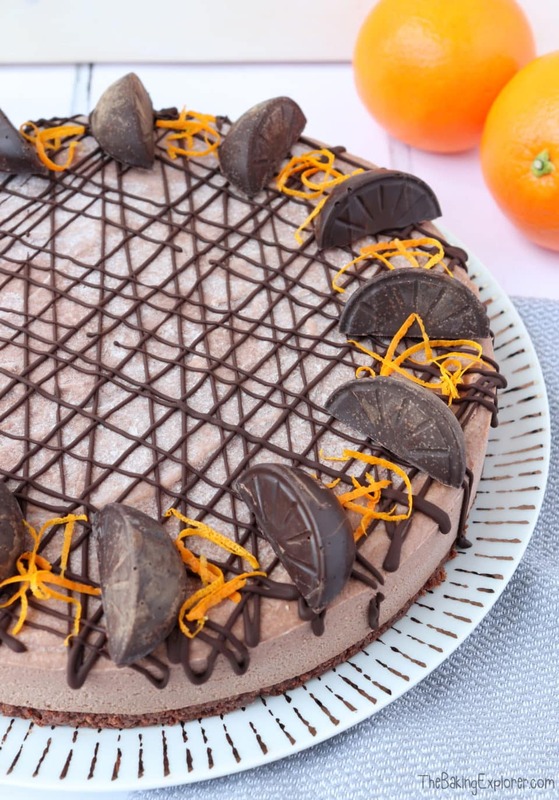 My Terry’s Chocolate Orange Cheesecake is one of my most popular non-vegan recipes on my blog, so I thought it was only fair that I made a Vegan Chocolate Orange Cheesecake so everybody can enjoy this delicious treat! Most vegan recipes are super healthy, which is great, but I decided to make this more of a naughty treat by adding a bourbon biscuit base! For those not residing in the UK, a bourbon biscuit is a chocolate biscuit filled with a chocolate creme. They are also vegan friendly! (Do check the label before you buy, but most bourbons are free from animal products.) 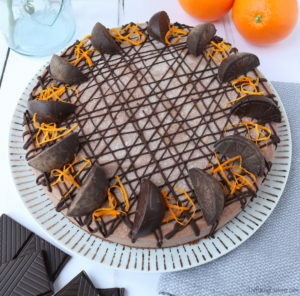 I also made my own chocolate orange segments using dark chocolate, orange extract and a segment shaped mould – it was easy to do and really made the Vegan Chocolate Orange Cheesecake extra special! I started with the bourbon biscuit base. Using my food processor, I whizzed up the biscuits into crumbs, added melted dairy free butter, and pressed the mixture into the bottom of the tin. It went into the fridge to set. To make the filling I mixed together the cashews (which I’d soaked in water for 2 hours), orange juice, orange extract, cocoa powder, maple syrup and coconut milk. 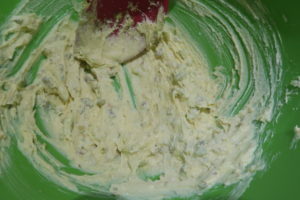 You really need a good food processor to make the filling super smooth. 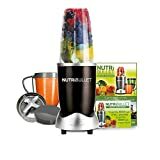 I blended it in my NutriBullet in two batches, then mixed it all together in a bowl. Then I added the melted coconut oil in stages, mixing it well between each addition. 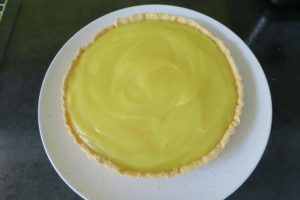 I poured the filling into the tin and smoothed it on top. It went in the freezer to set overnight. 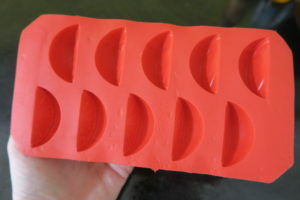 I made the chocolate orange segments by melting the dark chocolate, then stirring in the orange extract and golden syrup, and pouring it into the mould. I left it to set in the fridge, then popped them out when they were done. I’m far too lazy to temper chocolate, but if you did it would give them a lovely shine! Once the Vegan Chocolate Orange Cheesecake was set, I let it come to fridge temperature so it was easier to slice. Then I decorated it with some melted dark chocolate. I added the chocolate orange segments and some orange zest and it was ready to serve. The Vegan Chocolate Orange Cheesecake was super creamy, packed with chocolate orange flavour and super fresh and delicious! 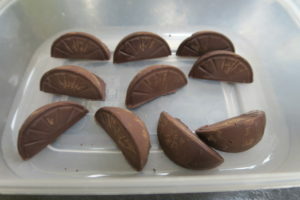 The dark chocolate segments were really yummy too, with lots of orange flavour! I was so pleased with how this turned out, and I think it would really impress at a dinner party. 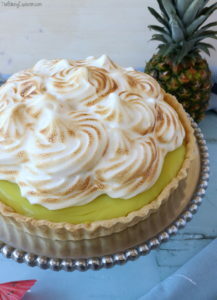 It’d also be sooo delicious with a dollop of coconut cream! 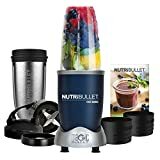 I’ve tested this out on non-vegans and they loved it too! I’m linking this recipe up with Recipe of the Week hosted by A Mummy Too, Cook Blog Share hosted by Recipes Made Easy, Free From Fridays hosted by Freefrom Farmhouse, We Should Cocoa hosted by Tin & Thyme, and Fiesta Fridays hosted by Of Goats And Greens and Zoale. 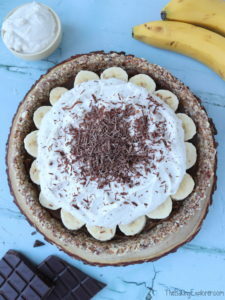 This Vegan Banoffee Pie is no bake, refined sugar free, dairy free, gluten free and 100% yummy! 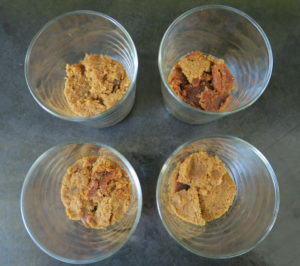 The base is made with crushed nuts, dates and coconut oil. The caramel is made from dates and is super sweet and gooey (I could eat it on it’s own it’s so good!) And the cream on top is coconut cream, which I absolutely love as I’m impressed every time I make it with how rich and creamy it is. 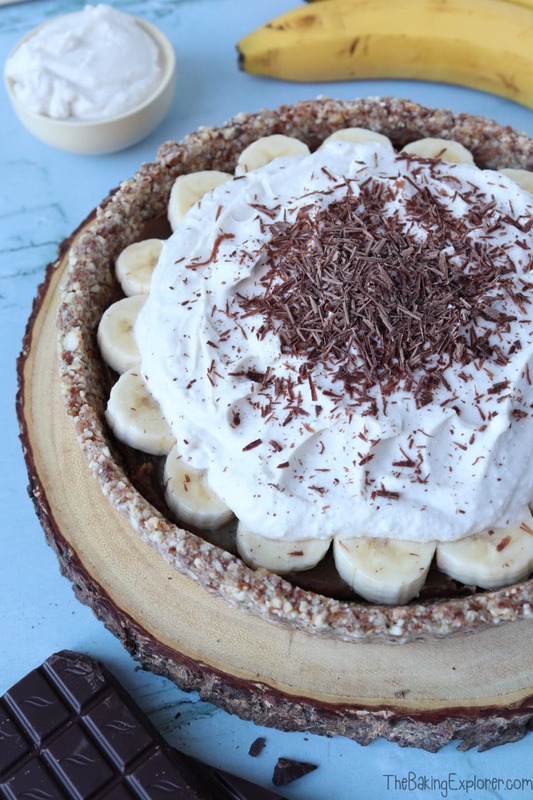 Vegan Banoffee Pie is the perfect treat for Veganuary, or anytime of year! To make the base I used my NutriBullet to whizz together the almonds, pecans, dates and hazelnuts. 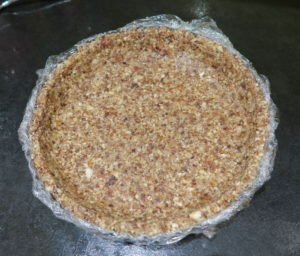 I added the melted coconut oil, then pressed the mixture into a loose bottomed tart tin lined with cling film. To make the date caramel I put the dates, almond milk, maple syrup and coconut oil into a pan and boiled it for 3 minutes. I let it cool for a bit, then whizzed it into a puree with my hand blender. 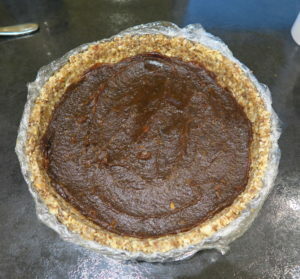 Then I spread the date caramel into the crust. I chopped up two bananas and brushed them with lemon juice, then I arranged them neatly on top of the caramel. 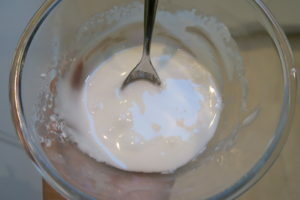 For the coconut cream I whisked together the coconut milk, maple syrup and vanilla extract. I dolloped it over the bananas, then grated some dairy free dark chocolate all over the top. 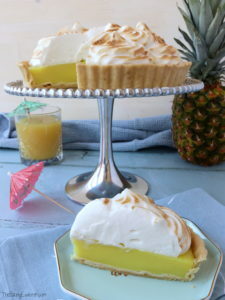 I left the edges of the bananas peeking out, and there was some extra coconut cream to serve with the pie! 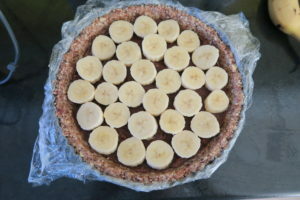 This Vegan Banoffee Pie was totally tasty, the fruity bananas and coconut cream add freshness to the sweet date caramel. 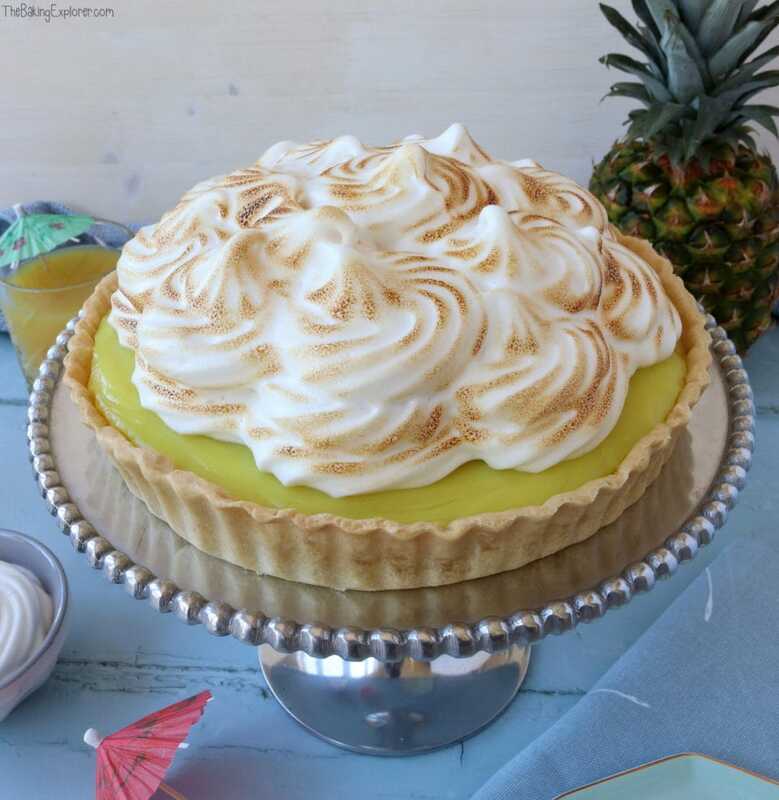 I’m linking this recipe up with Recipe of the Week hosted by A Mummy Too, Cook Blog Share hosted by Hijacked By Twins, Free From Fridays hosted by Le Coin De Mel, and Fiesta Fridays hosted by Cooking with Aunt Juju and Little Sweet Baker. There are many symbols of Christmas, from holly to Santa Claus, and crackers to Christmas pud. One of my favourites is the gingerbread man with his cute smiling face and rosy cheeks. I am always drawn towards gingerbread man decorations for my tree, and Christmas cards featuring these adorable characters. 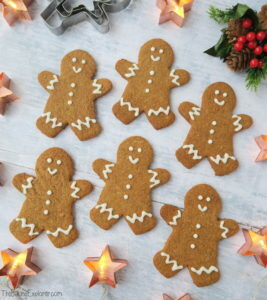 These vegan gingerbread men are a fun and delicious way to enjoy one of the most charming symbols of Christmas time. It would be great fun to make them with kids and let them get creative with the decorations! They have the perfect balance of sweetness against spicy ginger, making them a tasty treat for the whole family this Christmas. 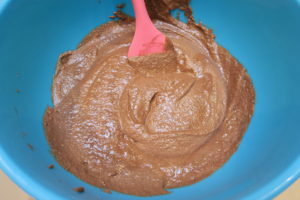 I started by putting all of the dry ingredients into a bowl and stirring them together. In a small pan I melted the dairy free spread with the golden syrup and treacle. 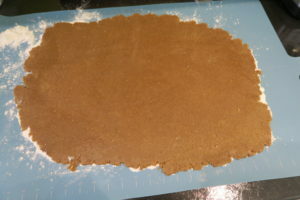 I poured the syrup mixture into the dry ingredients and mixed until a dough formed. I wrapped it in cling film and chilled it in the fridge for 1 hour. 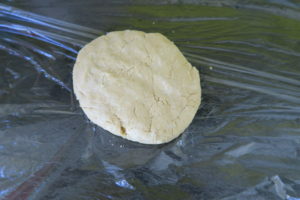 Using a pastry mat which I floured well, and a floured rolling pin, I rolled the dough out. 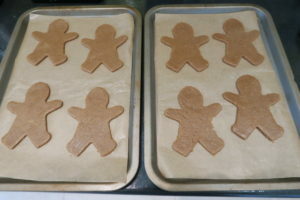 I cut out gingerbread man shapes using a cookie cutter and laid them onto baking trays. Of course you could cut out any shapes you like. I popped the cut out shapes on the trays into the freezer for 10 minutes, then I baked them for 8-10 minutes. Once they were fully cool I made some icing and piped it onto the biscuits to decorate them. You could also use chocolate to decorate, or leave them plain. 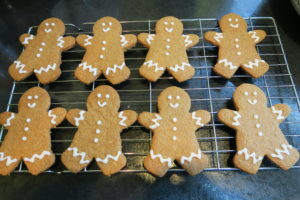 Then the friendly smiling vegan gingerbread men were ready! Are they just the cutest? Almost too cute to eat, but only almost! These vegan gingerbread men were absolutely yummy. They are crispy round the edges, then nice and soft in the middle. 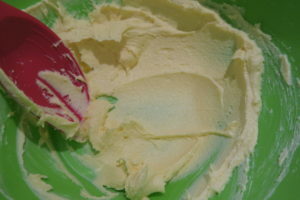 The punch of ginger flavour is just right, and you get bits of sweet icing in every bite. I’m linking this recipe up with Recipe of the Week hosted by A Mummy Too, Cook Blog Share hosted by Everyday Healthy Recipes, Free From Fridays hosted by Le Coin De Mel, and Fiesta Fridays hosted by Cooking with Aunt Juju and The Frugal Hausfrau. Strange as it may sound, I didn’t used to like carrot cake. Nowadays, I absolutely love the stuff! I find the spiced sponge and creamy frosting rather irresistible. I’ve made non-vegan baked donuts several times, and I really wanted to try a vegan version, so carrot cake immediately sprung to mind. 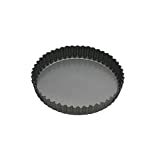 Baked donuts are like little cakes as they are baked in the oven in a donut tin. I’ve spiced these carrot cake baked donuts with cinnamon, ginger and nutmeg and drizzled a sweet glaze over the top. They are truly yummy and will delight vegans and non-vegans alike. These carrot cake baked donuts are dairy and egg free, and they could be nut free too if you use soya milk rather than almond milk and don’t add the chopped pecans on top. No one needs to miss out on yummy donuts! 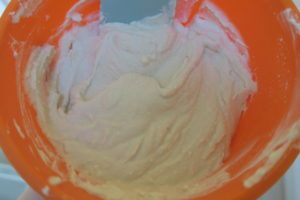 To start, I placed all of the dry ingredients into a bowl except the bicarbonate of soda. 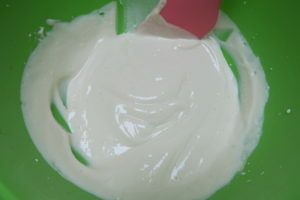 In another bowl I whisked together the oil, almond milk, vanilla and cider vinegar. Then I added the grated carrots. 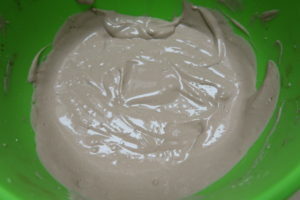 I combined the wet and dry ingredients, then added the bicarb last. I put the batter into a piping bag and piped it into my donut pan which I’d greased with dairy free butter. The donuts baked for 15 minutes until they were risen and golden. Using a butter knife I gently loosened them around the edges, then tipped them out onto a cooling rack. I quickly washed the tin and did another batch. For the glaze I mixed together the icing sugar with the milk and dipped the donuts in. I sprinkled the pecans on while the glaze was still wet. These carrot cake baked donuts came out beautifully risen and soft. In my recent vegan baking experiments, the one thing I’ve really struggled with is baking sponges but I think I’ve finally got it! The sponge is not overly sweet to make up for the super sweet and sticky glaze that’s drizzled on top – it provides all the sweetness you need. These donuts are really good freshly made, but if you can manage to wait till the next day they go super moist and sticky – which is how I like my donuts! I’m linking this recipe up with Cook Blog Share hosted by Everyday Healthy Recipes, Recipe of the Week hosted by A Mummy Too, Bake of The Week by Mummy Mishaps, Free From Fridays hosted by Le Coin De Mel, and Fiesta Friday hosted by Everyday Healthy Recipes and Indfused. Check out my other baked donut recipes! If you can, store in an air tight container and enjoy the next day when they will be super moist! Or just dig right in! It’s so easy to make vegan flapjacks as the only dairy in regular flapjacks is the butter, so simply swap the butter to a dairy free spread and you’re done! I decided to fill these vegan flapjacks with a spiced plum compote for a fruity flavour, and seen as it’s Autumn I’m craving anything with cinnamon and warming spices in it. Don’t be put off by making the compote yourself, it’s so simple and very difficult to go wrong! If you are really stuck for time you could fill them with jam instead, just stir some spices into the jam first for that Autumn warmth. I started by making the plum compote to fill the flapjacks with. After chopping all of the plums and removing the stones, I put them into a pan along with the spices and the sugar. I let them cook down on a low heat until they were soft, this took about 35 minutes so I did some jobs around the kitchen and stirred them every 5 minutes. 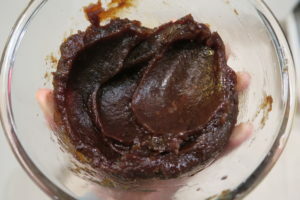 Using a hand blender, I roughly pureed the plum mixture, then set it aside to cool down. To make the flapjacks I melted the dairy free butter on a low heat in a pan long with the golden syrup and vanilla. 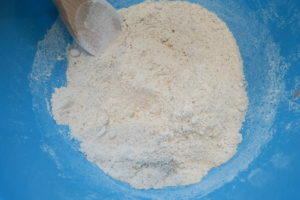 I mixed together the oats, plain flour, spices, and light brown sugar. 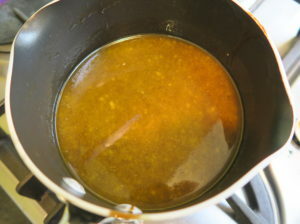 Then I added the melted butter and syrup mixture, and mixed it all together. 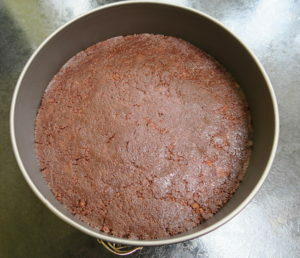 I pressed about two thirds of the flapjack mixture into the bottom of a lined traybake tin. 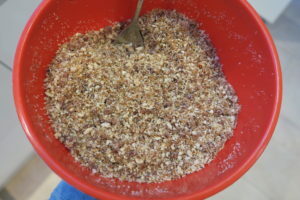 Then I added the plum mixture on top, then covered it with the rest of the flapjack mixture, it won’t completely cover it, but you want the plum mixture to peak through. For decoration, I also added a sprinkle of flaked almonds. I baked them for 25 minutes until they were golden all over. I let them cool fully before cutting into squares. The vegan flapjacks were absolutely delicious! Chewy, fruity and sweet – just how flapjacks should be. I didn’t tell anyone that these were vegan flapjacks, and no one had any idea! They devoured the lot! These vegan flapjacks would be a perfect snack in lunch boxes, on long journeys or just with a cup of tea. 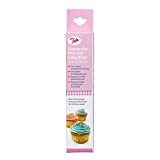 They’ll keep for up to 5 days in an air tight container too – if they last that long! I’m linking this recipe up with Recipe of the Week hosted by A Mummy Too, Cook Blog Share hosted by Hijacked By Twins, Bake of the Week hosted by Casa Costello and Fiesta Fridays hosted by Caramel Tinted Life and Of Goats and Greens. 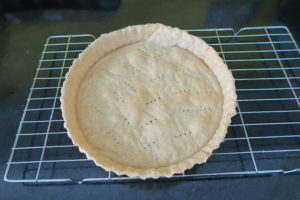 Let them cool fully before cutting into squares, if you can't wait that long, be careful eating them straight from the oven as the plum filling will be very hot!